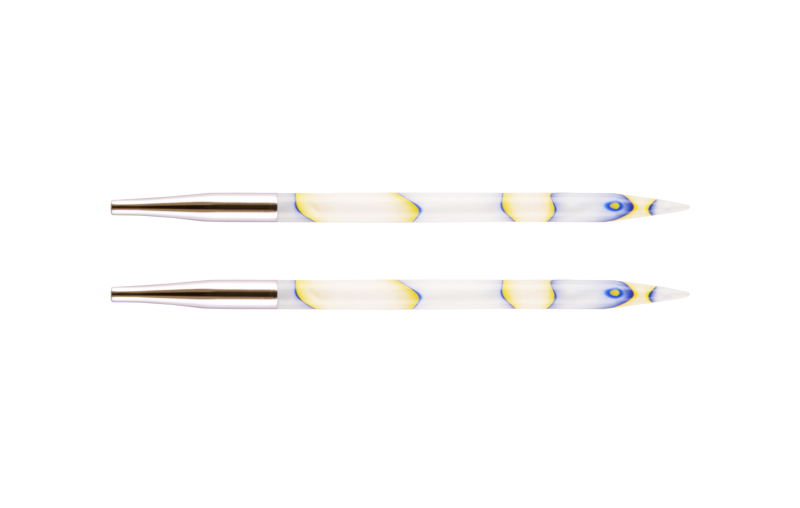 MarblZ acrylic IC Special Tips are designed to produce circulars in 16" (40cm) length. Each tip measures 4" (10cm) and is to be used with cord of 8" (20cm) length. MarblZ acrylic needles provide the right ‘grab’ that allows for easy handling of slippery yarns, picking up stitches in a fast manner and helps in controlling those difficult stitches. The hand-crafted colors and patterns have been developed in a special way by a group of skilled workforce – so each needle appears unique. Lightweight, smooth, with the right flexibility – yet exceptionally strong & durable.